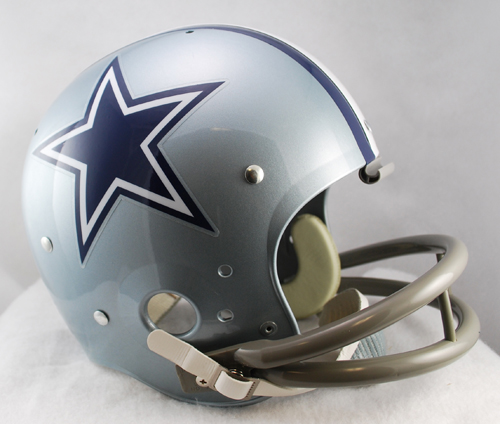 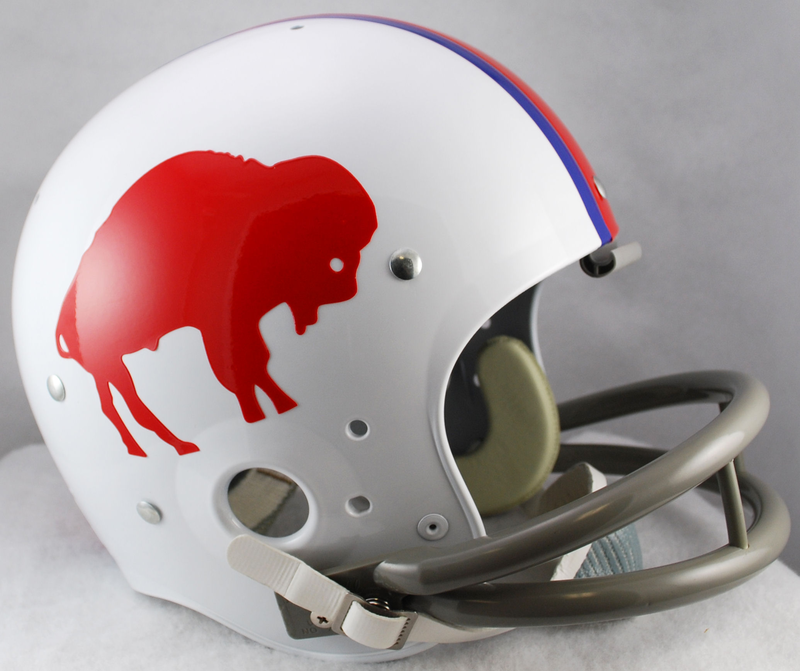 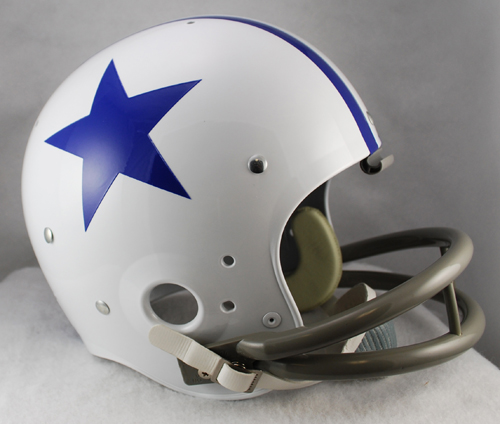 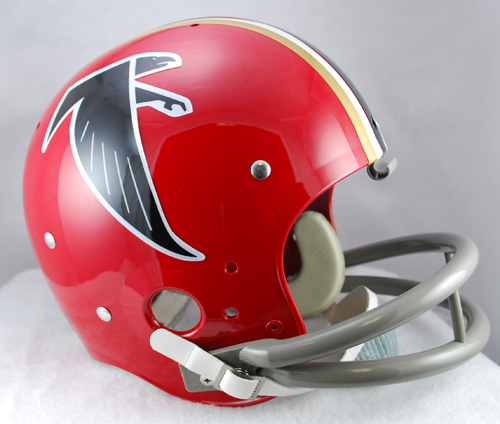 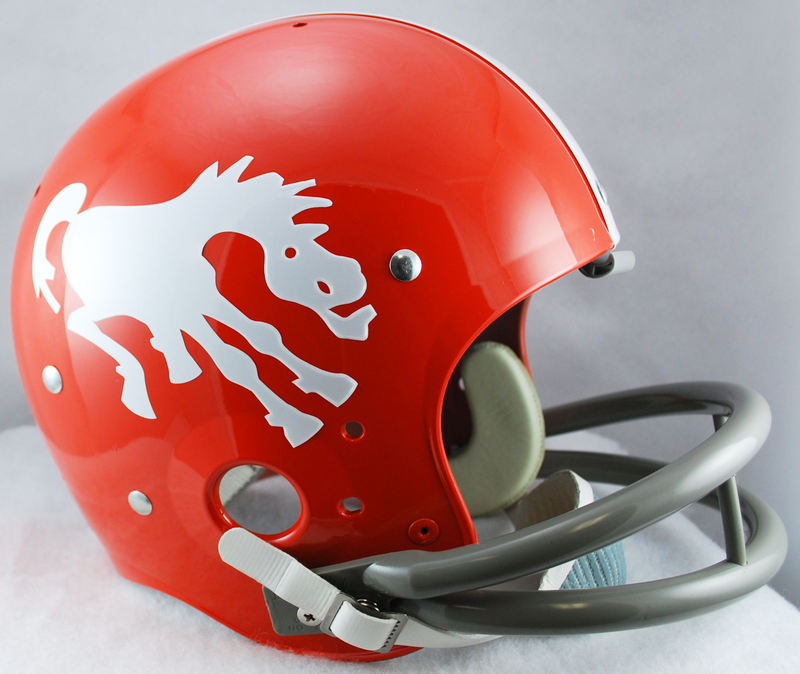 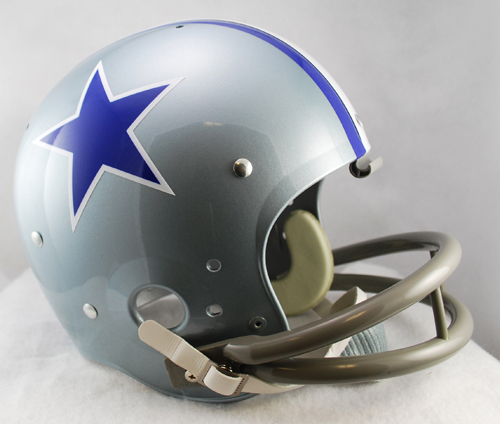 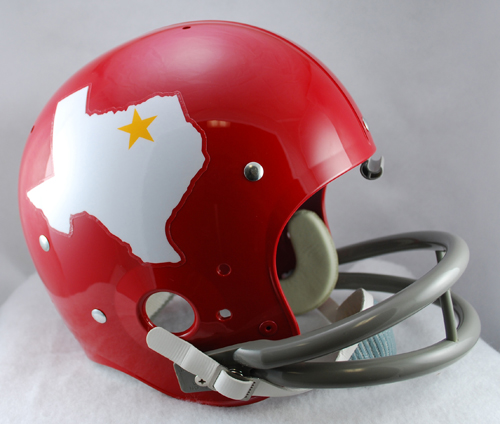 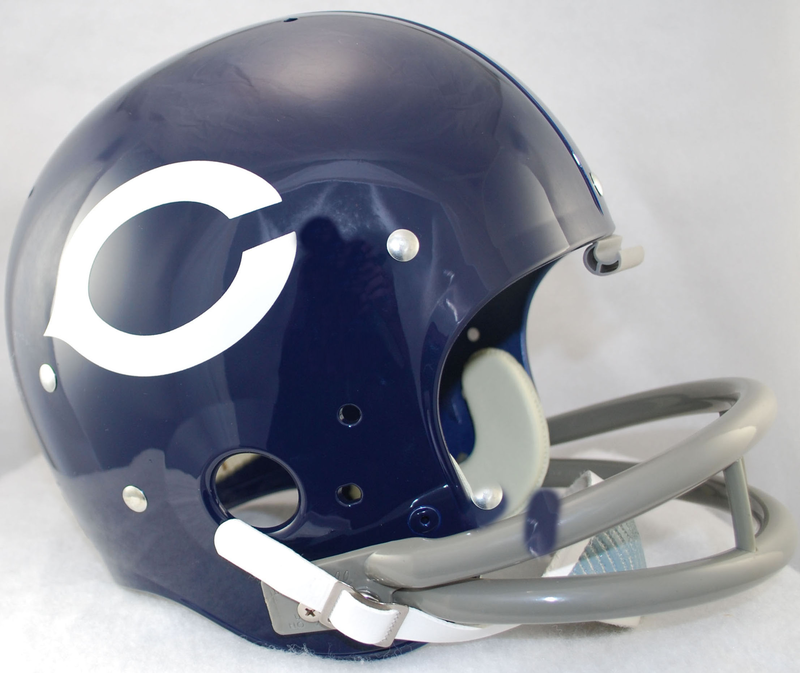 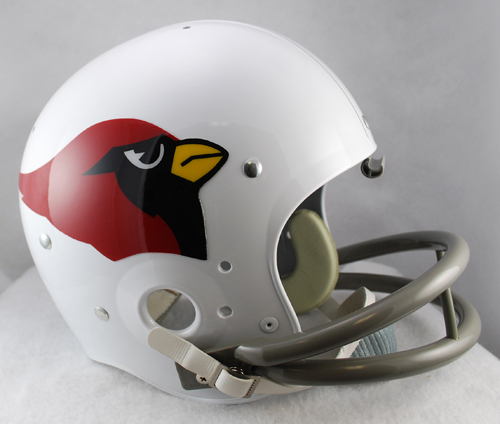 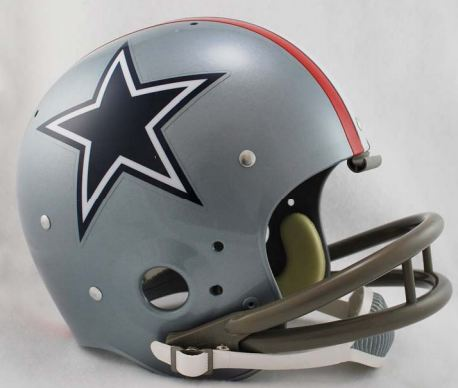 The Riddell full size "TK" suspension football helmets come with 2-bar facemasks as worn on-field during the '60s, '70s, and '80s. 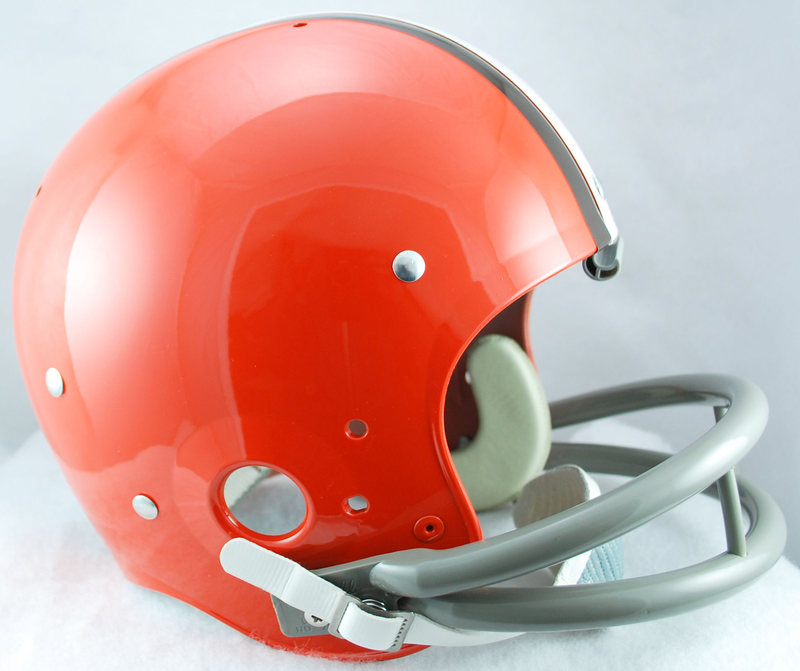 The TK Suspension Football Helmet features a web suspension system in a rounded shell with the iconic Riddell 2-bar facemask worn by so many great players of the past. 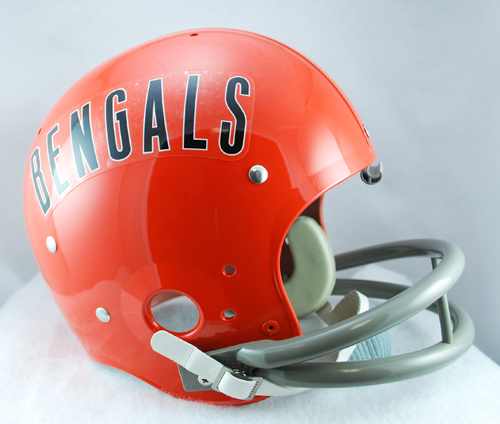 Riddell TK football helmets have identical font style labeling making the helmet indistinguishable from original full scale.